That said, every book on my lists is there because at one point I was excited about it. The synopsis, or the cover, or some element of the story wormed into my brain and made me think, “I have to read that.” So I make these lists to remind myself so these titles don’t disappear in my endless Goodreads “Want to Read” shelf. With their sequels in tow, these books should easily fill my 25-book goal for the year. But I fully expect to veer off the list from time to time, and of course I will share that with you at the end of the year when I reveal how well I succeeded (or how brilliantly I failed) in reading these specific titles. I’d like to put in a word here about reading speeds. I have to confess that over the last year my love of BookTube has led to me wondering if I’m a slow reader. I felt my list of 20 (or 25, this year) books was small and sad, and that if I really loved reading like I’ve always claimed I do, I’d read 50, 80, 100 books or more a year and it would be easy. I know, of course, that this isn’t true. Comparison is such a jerk, isn’t it? If you have been feeling similarly small about the number of books you read, I’m giving you permission to let that go. If my list (which is dreadfully overambitious for me personally, I’ll remind you) makes you feel bad about your smaller goal for this year, feel free to ignore it or click away. Every book is an entire world and experience all on its own, and there is nothing wrong with taking your time to live it. And there’s nothing wrong with taking time to live real life in between. You can read for so many reasons, for depth or width or adventure or a break, and all of it is great and wonderful. I hope you’ll share with me some of your reading goals this year! 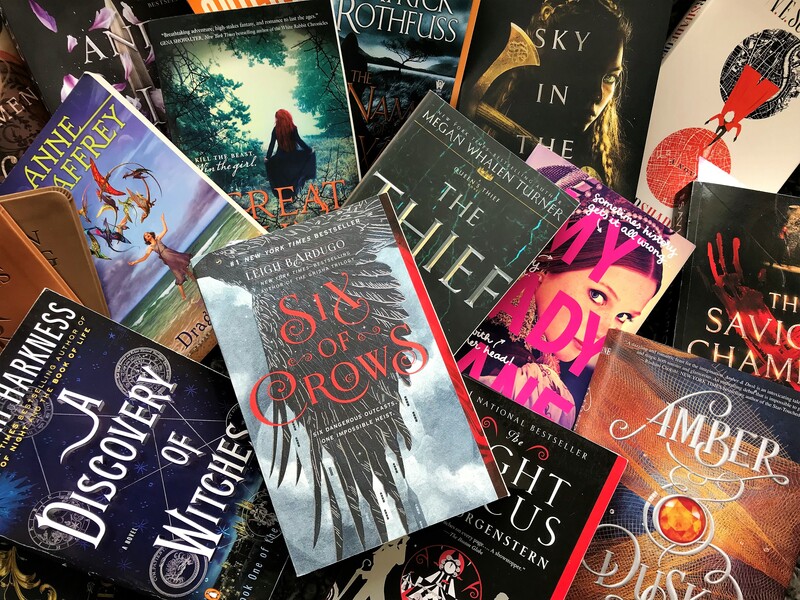 If you don’t make reading goals, what was your favorite read of 2018, or what are you looking forward most to reading this year? I’m trying to read books frequently compared to Harry Potter so I can talk about them, so quite a few books on your TBR will also be on mine this year! I’m so excited but also super overwhelmed because there are just so many books! I’m right there with you! That’s one of the reasons I have such a hard time sticking to my reading plans—there are so many books I somehow missed that came out in recent years, and, of course, so many awesome new ones coming out all the time. It’s a lot! I’m actually rereading the Harry Potter books again right now, as well…I can’t help it! haha. But like you I’d love to be able to talk about a wider range of literature. And I always love finding new favorites!